Kanakpura is where Bangalore’s cityscapes give way to small hamlets and the noise fades into silence. Though situated close to the city, the area still maintains its rural charms. 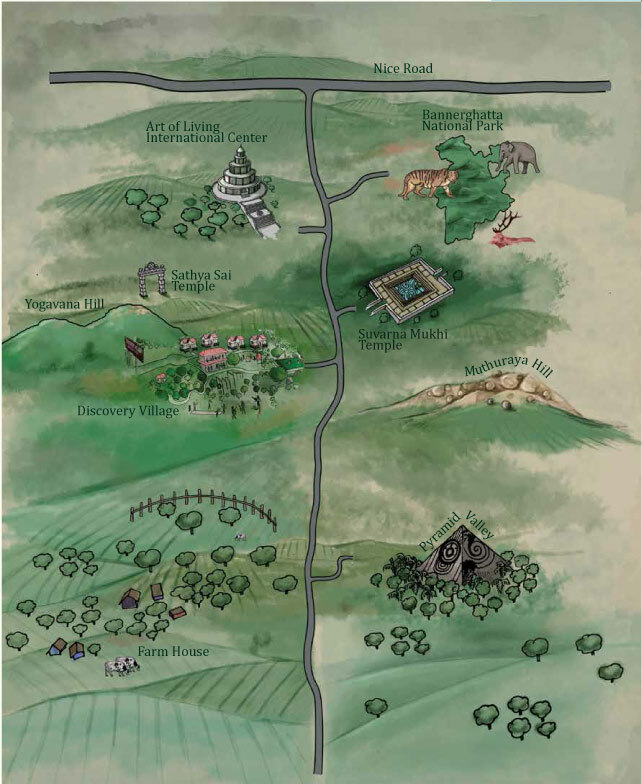 Surrounded by greenery and gently rolling hills, it offers enough to keep the explorer in you busy. Billikal Ranganatha Swamy Betta or Billikal Hill houses a temple devoted to Lord Ranganatha. 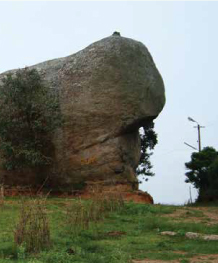 The Hill and surrounding areas are part of a reserve forest; elephants and smaller wild animals can be spotted here. The Hill summit can be reached by trekking and offers incredible views of the entire region. 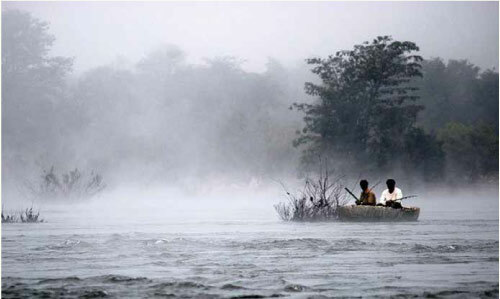 Run by the Karnataka State Government, the Camp is famed for its non-harmful style of Masheer fishing – you hook the fish, pose with it for a photograph and release it into the waters to help with conservation. Take a break from the action for a moment of spiritual bliss. 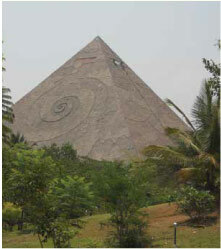 Head to the Pyramid Valley, a pyramid shaped meditation center. It’s located close to our campus and attracts many spiritual seekers. 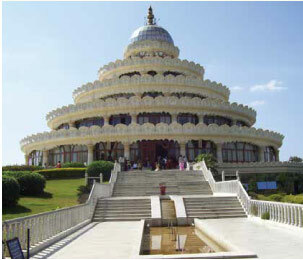 This famous Ashram is popular with both travellers and spiritual seekers. Its vast, green campus has a huge prayer hall, which holds regular satsangs. The campus also has a café, which serves simple, organic fare.